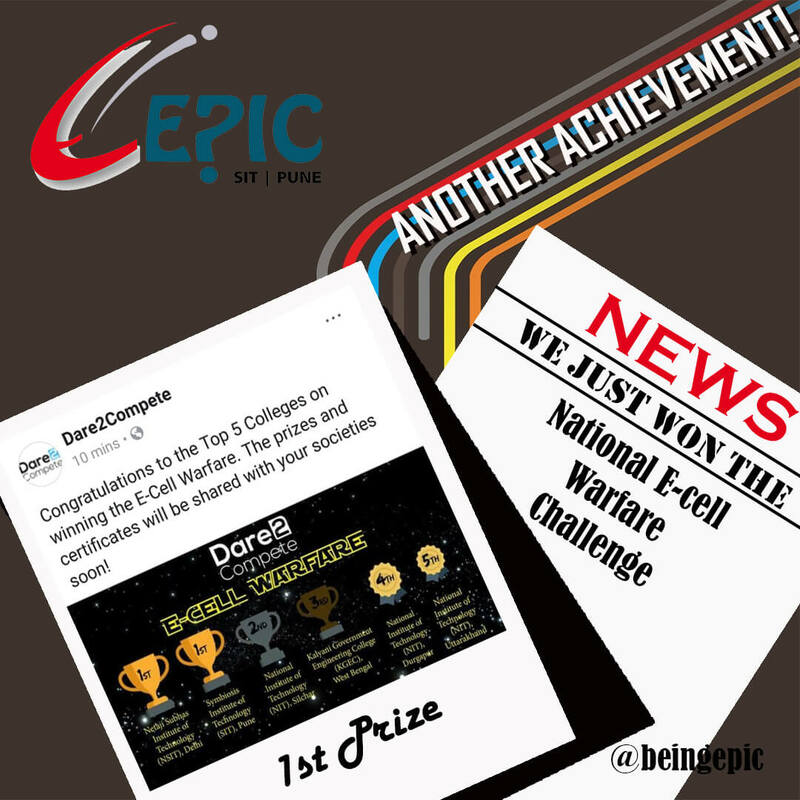 SIT family proudly congratulates the Entrepreneurship Promotion and Innovation Cell (EPIC), of the institute, for WINNING the National E-Cell Warfare 2018! This is the third national award that EPIC has won so far! 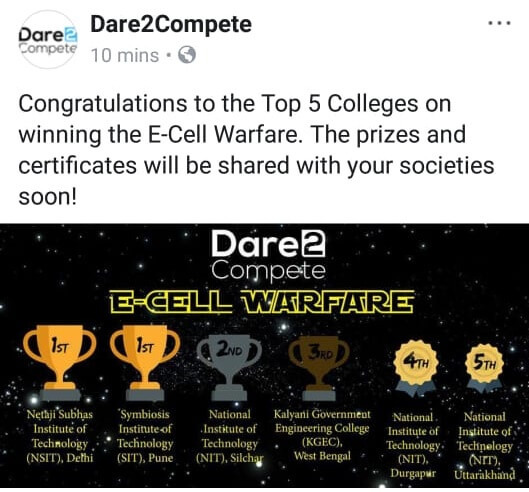 The national challenge required the participating E-Cell teams to complete certain tasks related to Entrepreneurship, during the months of August and September, and submit the evidence to the organisers. One of the tasks was to host online quiz, wherein the quizzes hosted by EPIC saw participation of more than 1500 students from all over the country. The team emerged winner leaving behind Entrepreneurship Cells from some of the reputed colleges and NITs. Team EPIC with Dr K. Kotecha ( Director, Symbiosis Institute of Technology). 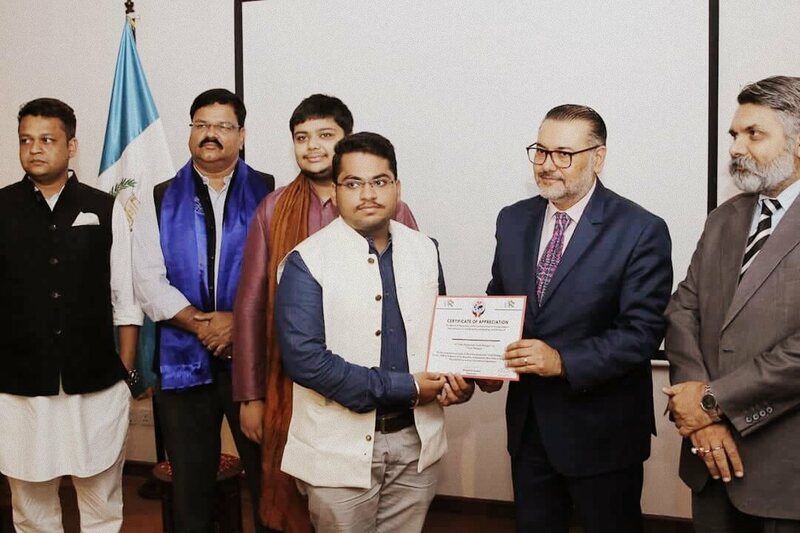 SIT student, Mr. Shubham Puranik, Final Year B Tech Civil Engineering student, Batch 2015-19 got selected as a youth delegate for the India-Guatemala Youth Dialogue 2018 for the Confederation of young leaders and attended the same at the Embassy of Guatemala, New Delhi on 12th July 2018. The India-Guatemala Youth dialogue comprised of Interaction with the Ambassador of Guatemala and diplomats on growing relationship between Guatemala and India. The Youth Dialogue serves as a great opportunity for Young Indians to learn more about the partner country and at the same time, a great platform for officials to know the aspirations and vision of some of brightest Young Indians. This lays the basis of a strong Youth-to-Youth connect between both countries. Shubham's inputs on "India's soft power and what role can the youth play in improving the soft power of a nation" were well taken by the eminent guests at the function.